BlackBerry PlayBook Holiday Price Is $199; Getting One? RIM has got a cool offer this holiday season, involving a $199 BlackBerry PlayBook. It seems that every tablet is getting cheaper these days, so after the HP TouchPad and HTC Flyer, it’s the turn of BlackBerry PlayBook to become cheaper. Retail giant Staples has cut off the PlayBook no less than $300, an ideal offer this Christmas. The fire sale, involving $200 PlayBooks started Friday in Canada and you’ll pay exactly $199 for the 16GB RIM slate, $299 for the 32GB unit and $399 for the 64GB one. The prices at Staples will most likely become permanent soon and US locations will offer the same price tag a week later, on Black Friday. RIM is performing a logical step here, since it only moved 200k PlayBook slates in the last quarter, lower than the analysts estimated. The fire sale trend started with the HP TouchPad, that went for as low as $9 when the info about the webOS axe came out. Even the Motorola Xoom sold 100k units in Q3, so maybe it’s time for a fire sale here as well. Well isn’t this hilariously ironic? Shortly after a spammer/scammer tricked his way into Android Market’s trending apps by releasing a fake version of Flash 12, we learn that Adobe will discontinue development of in-browser flash on mobile devices beyond version 11.1. So hey you – Androidking guy – sure you don’t want to build out that Flash 12 for real? "HTML 5 is the way almost all applications will be built, including for phones." 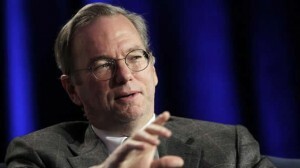 Considering that… how well is Google positioned with the combination of Android, Chrome, ChromeOS, and Google TV? They’ve got technological insurance policies up the wazoo. Meanwhile, Adobe is going to have to shift directions to keep themselves riding any type of curve. 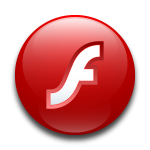 Adobe will indeed continue working on Flash for desktop devices, it’s merely the mobile strategy that has changed. I applaud Adobe for backing away from their Flash product line for mobile. You hear the news and you think they’re surrendering to some degree. And they are. For a proud company like Adobe that’s a hard thing to do but it’s also what is necessary. Newspapers and magazines are failing because they didn’t embrace the web soon enough. Tides and times change and you’ve got to be willing to change with the times to ride the new tides. 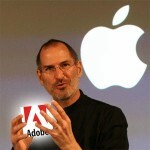 Will Adobe be successful in their new mission to innovate with HTML5? If you’ve been following the RIM-related news lately, you must know that the Canadian company’s BlackBerry OS has now entangled with QNX OS for the PlayBook tablet with the result being the brand new BBX 2.0. The platform is now in beta phase, but that didn’t stop the guys of Macberry from getting a hands on video with the software. There’s plenty of Android apps running on top of this OS, which is good news if you were craving for the Android experience on your PlayBook. The video shows a folder named Android Apps, that includes Gmail, Amazon Kindle, Google Places and a bunch more applications. They seem to be working great, considering they were ported and don’t run in their native environment. The BlackBerry PlayBook is an unique device because it relies heavily on gesture control, much like the Nokia N9. Both these devices are rid of the burden of physical keys and all they require is a swipe to get around the menu. Couple that with RIM’s great hardware and we’ve got a solid product, that never quite took off sadly. The reason? The lack of standalone functions such as email or contacts, without having to sync with a BlackBerry phone… Maybe BBX 2.0 will fix all the wrongs and give the slate the sales it deserves. Rim has acknowledged the two main reasons for poor BlackBerry PlayBook sales at the company’s Devcon event in San Francisco. "The number one reason the PlayBook hasn't sold as well as we expected is the lack of a native email client, the number two reason is there aren't enough apps," Alec Saunders, VP of developer relations and ecosystem development at Research In Motion, told Pocket-lint and other journalists in a discussion about Android apps on the PlayBook. The company has said it is addressing both problems with the new BlackBerry PlayBook OS 2.0?update due out in the coming months. In the update, which was promised for the summer but yet to materialise, users will be able to run Android apps that have been ported across to the PlayBook operating system by developers keen to expand beyond the Google operating system. What isn’t known, however, is the number of Android apps that will be available, what those apps will be, or even when the new service will go live. Saunders and Christopher Smith, senior director of BlackBerry development platform, seemed to be playing coy over adoption numbers and release dates when we questioned them. As to what Google thinks about the move to allow Android developers the chance to create apps for the PlayBook, Saunders and Smith said they didn’t know, admitting that they "aren't having meetings with Google at all." What they did confirm however, was that the Android player in the PlayBook OS 2.0 will just work, and that end users won’t know whether any given app is of the Android variety - when they download an app from the App World - until the Android Player launches. "The apps will automatically appear in the App World as the PlayBook will automatically know what you can and can't run," confirmed Smith. BlackBerry maker Research In Motion has confirmed that it will be releasing a new operating system update for the BlackBerry Playbook?at the company's Devcon event in San Francisco.? The new operating system update will be available to developers from 18? October, however no date has yet been given as to when the update will be available for consumers, said Research In Motion. The Developer Beta for PlayBook 2.0 includes the BlackBerry Runtime for Android Apps and the BlackBerry Plug-In for Android Development Tools (ADT), allowing developers to quickly and easily bring Android applications to BlackBerry PlayBook tablets first promised earlier in the year for the summer.? Android developers can also repackage Android apps for the BlackBerry PlayBook online by using the BlackBerry Packager for Android Apps. The web tool guides developers through a step-by-step process, allowing them to test their apps for compatibility with the PlayBook, and repackage and sign their apps for submission to BlackBerry App World, all without downloading any tools. The BlackBerry PlayBook OS 2.0 Developer Beta also supports Adobe Air 3.0 and Adobe Flash 11, as well as WebGL - a new web technology that brings hardware-accelerated 3D graphics to the browser without installing additional software. Developers will be able to generate rich, interactive 3D graphics within their BlackBerry WebWorks application. RIM also announced the BlackBerry Open Source Initiative to port popular open source libraries to the BlackBerry PlayBook platform.? RIM also showcased BlackBerry Cascades, a rich user interface framework coming to a future release of the Native SDK. Cascades unleashes a new breed of design centric mobile applications and provides developers with an exceptional feature set for creating visually stunning interfaces with custom layouts, animations, effects and 3D graphics. These features, combined with a strong set of built-in core user interface components, will make it easy to build beautiful native applications with innovative user interfaces for the current BlackBerry PlayBook and future BBX-based tablets and smartphones. Cascades is scheduled to be made available in beta later this fall. What a sad day for RIM: on the day the world will rejoice at the announcements of Android 4.0, the Nexus Prime and the Droid RAZR, they are peddling the Blackberry Playbook to developers by bragging about how it can run Android applications through Blackberry Packager for Android. Sounds like a great idea. While I’m at it, how about I put a DVD into my VHS player and see if it’s compatible with Wii Bowling. Is Blackberry doomed? Beyond going Android and announcing the Google Nexusberry… can they be saved? The latest info coming from RIM included leaks of new handsets and some bad news from the financial side… now we get some info concerning the company’s tablet, the PlayBook. Turns out that the device (that shipped 200k units last quarter) will get price cuts and a software update. The info comes straight from the RIM co-Ceo Jim Balsillie, saying that rebates will be applied to the device and an incentive program is also on its way for business sales. The same RIM official said that there’s an important update coming for this device, most likely version 2.0 of the PlayBook’s QNX OS that will be shown in action during next month’s DevCon and will be released immediately after the event. Speculations say this update will bring stuff such as an Android player, native calendar, contacts and email, that would be a blessing for this neglected device. With a bunch of Android apps to come to the PlayBook and its own way of communication without a BlackBerry phone, what’s stopping you now from getting one? BlackBerry maker Research In Motion has had to admit that its shiny new tablet, the BlackBerry PlayBook, isn’t doing as well as it had hoped. The company has reported that it has shipped just 200,000 to shops in the last 90 days. To put that into perspective, Apple sells 200,000 iPads in a little over 2 days. The number is considerably lower than the 500,000 shipped in the previous quarter and even lower than the 700,000 Wall Street was expecting. What’s worse is that the actual number of sold devices is likely to be even lower as the earnings report details units shipped, not units sold.? And the bad news doesn’t stop there with the company shipping (again not necessarily selling) approximately 10.6 million BlackBerry smartphones in the same time frame, below what analysts were expecting, and half that of Apple’s iPhone for the similar period. As you might imagine that’s had a negative impact on revenue with the figures down 15 per cent from the previous quarter and down 10 per cent from the same quarter last year. Profits are down 47 per cent on the previous quarter. "We successfully launched a range of BlackBerry 7 smartphones around the world during the latter part of the second quarter and we are seeing strong sell-through and customer interest for these new products," said Jim Balsillie, Co-CEO at Research In Motion trying to put a good spin on what the markets are bound to call a bad quarter for the company and blaming “lower than expected demand for older models." 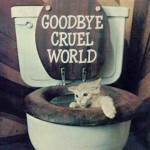 Where next for RIM? Balsillie says that the company is going to continue to push the new phones and focus "our development efforts on delivering the next generation, QNX-based mobile platform next year." RIM has said in the follow-up conference call that it plans to offer discounts for the PlayBook in the hope of boosting sales whilst also releasing a major software update for the tablet in October at the company's annual DevCon event in San Francisco.? If you haven’t spent all your money on TouchPad units, then there’s a good chance you’ll spend them on a BlackBerry PlayBook unit, seeing how they’re $50 to $150 cheaper on Best Buy this weekend. Thus, you’ll pay $449.99 for a 16GB WiFi PlayBook and $549.99 for the 32GB unit. The biggest discount applies to the 64GB tablet, that gets a reduction of $150, reaching $549.99. This means that the 32GB and 64GB are equals in term of pricing, which is always good news, right? Also, considering the promised Android support and coming QNX 2.0 that was recently glimpsed through a screenshot, things are looking up for people interested in this device. Remember that the special prices only apply until the end of business on Monday, September 5, so hurry and get yours. More details can be found on Best Buy’s website, right here. Now how about those 4G PlayBooks? TechCrunch has sort of a premiere here, since they’re the ones to debunk the myths about Amazon’s tablet strategy. It appears that they won’t launch two versions of tablets after all, only settling for a 7 incher simply called the Amazon Kindle tablet. One of the guys from the website already played with such a device and detailed his experience in the source link below. Recent rumors say we might see this unit priced at $250 and TechCrunch seems to be pretty excited about the gadget, claiming it has huge potential. Sadly, there are no pictures available, but they provided a mockup based on their experience. Apparently, the Kindle tablet looks very much like the BlackBerry PlayBook, especially as far as form factor goes. The 7 incher will come with a capacitive touchscreen display, a multitouch one that relies on two finger touch, instead of the iPad’s 10 finger, but still accurate. We get a full color screen with back lighting, so don’t worry about E-ink on this Kindle unit. The end of November is the target launch time frame and the version TechCrunch tested was a Design Verification Testing unit. A 10 inch slate might follow next year, but I wouldn’t bet on that. The interface will be Kindle and Amazon into one single experience, with lots of orange, dark blue and black. The main screen looks like the iTunes Cover Flow and displays the content in a carousel. You also get a status bar, that also acts as a notification tray. No physical buttons have been integrated and you’ll bring a navigation menu to the screen simply by tapping once. You’ll find these details and more over at TechCrunch, so don’t hesitate to check their piece out.